Watching entire movies is so tiresome. It takes hours. Who has that much free time? 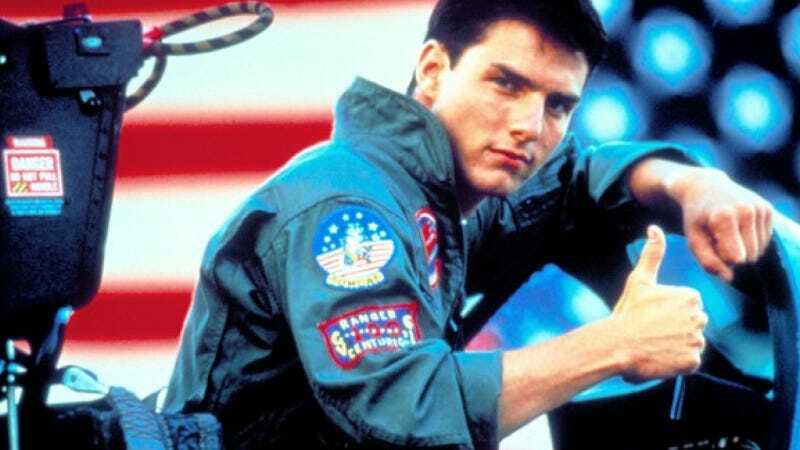 Why not watch a movie like Top Gun, Tony Scott's 1986 fighter pilot/volleyball epic, compressed to 40 seconds with no sound as one amazing animated .GIF? It can be done, and it has been done by the subreddit r/fullmoviegifs. There's a ton of them on there now, including Skyfall, Fear and Loathing in Las Vegas, and Jurassic Park. But my favorite is undoubtedly this 474-frame version of Top Gun, which has not lost that lovin' feeling even in .GIF form. Maybe it's not as good as Archer's homage to the same movie, but it's good enough. I don't know exactly who made this, but he can be my wingman anytime.